When talking about volcanoes, the mental image that comes to mind is that of a yawning crevasse; spewing ash, lava and smoke into the air. 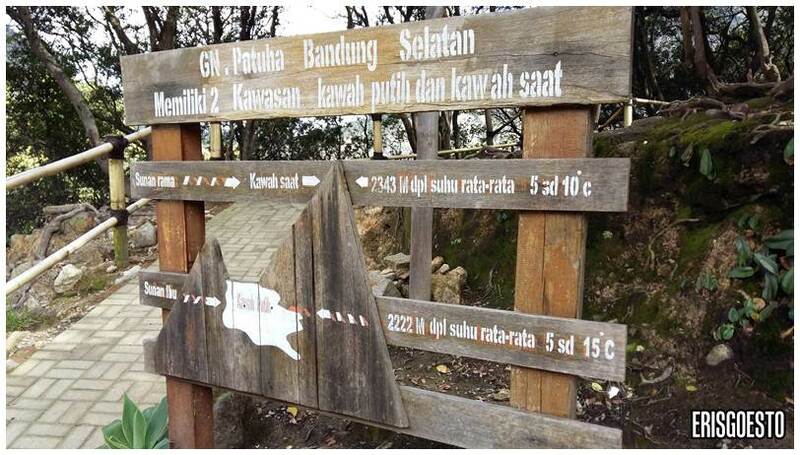 But my recent visit to Bandung proved me wrong! 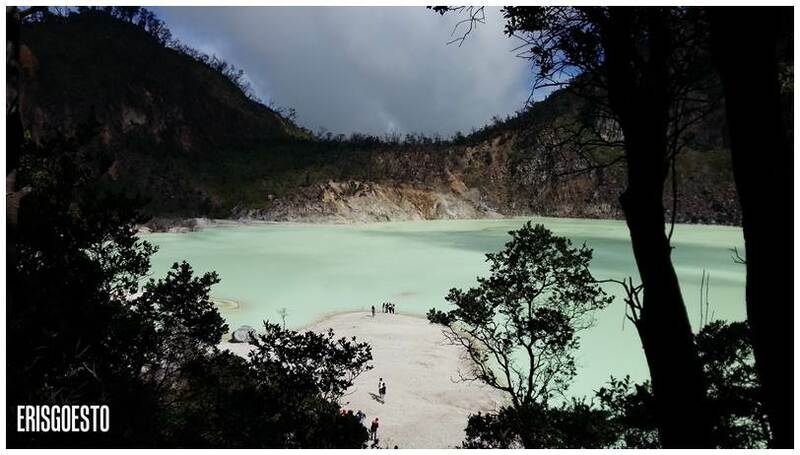 Earlier, we visited Tangkuban Perahu, an active stratvolcano – which means that lava runs underneath instead of on the surface. 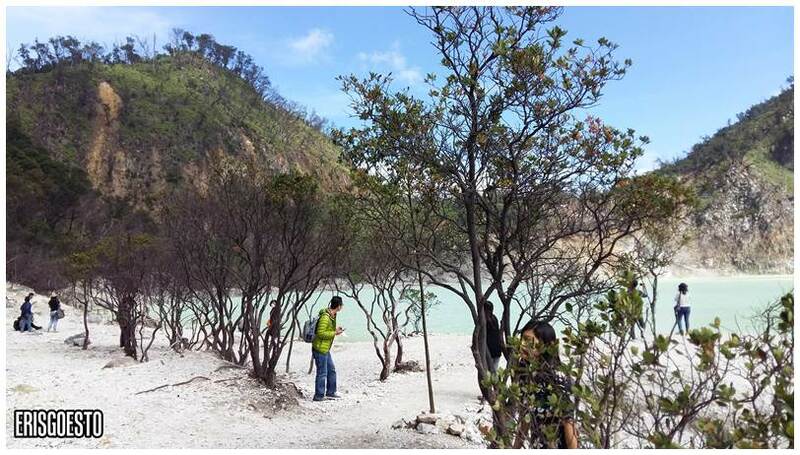 There, we found a huge crater with hot springs, wisps of steam and bubbling mud. 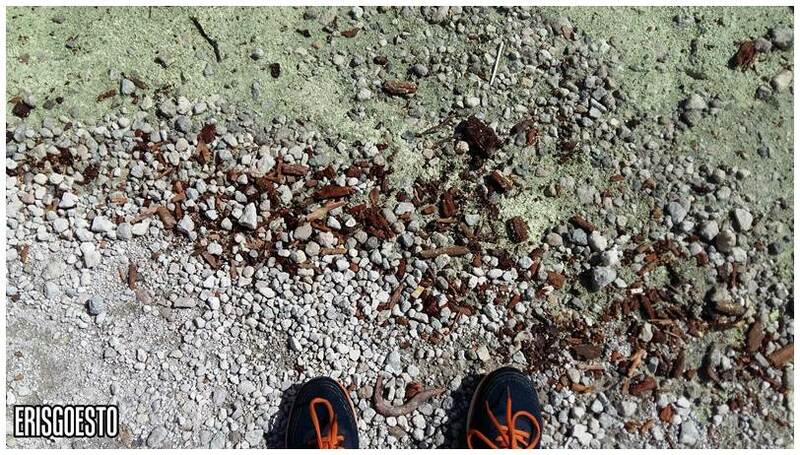 The sides were a dark ash grey, like scorched earth. 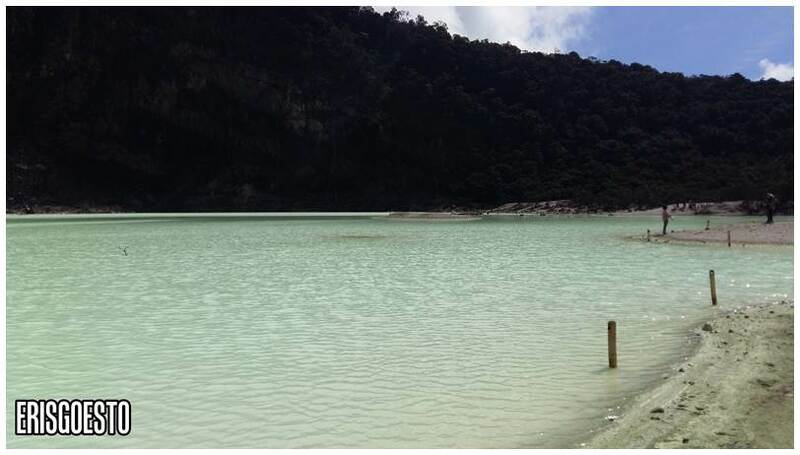 There are no volcanoes in Malaysia, so this was an eye-opening sight. 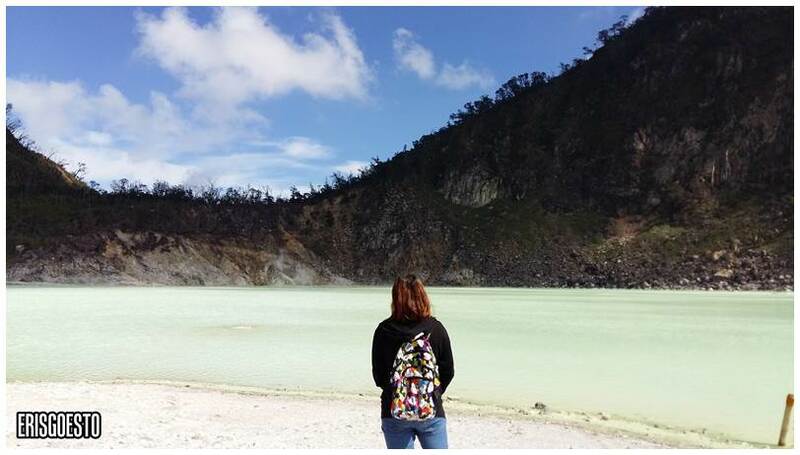 The next day, we drove South to visit another volcano – Kawah Putih, or ‘White Crater’. The two couldn’t have been more different. There was a forest of trees near the entrance, leading to an observation deck. The trees were gnarly and twisted, with sparse branches and dark, rough-looking bark. Reminded me of the trees in Disney’s Snow White, or from the Japanese Suicide Forest. Beautiful, but haunting. 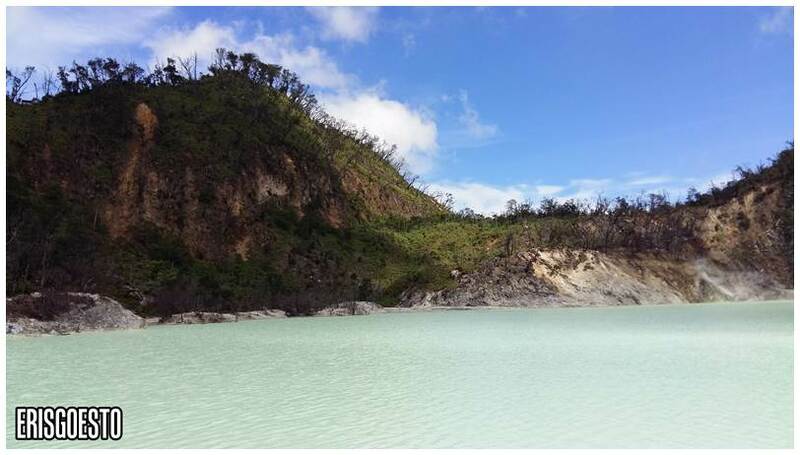 Named after its milky blue waters and greyish white sand, Kawah Putih looks more like a beach than a volcano. 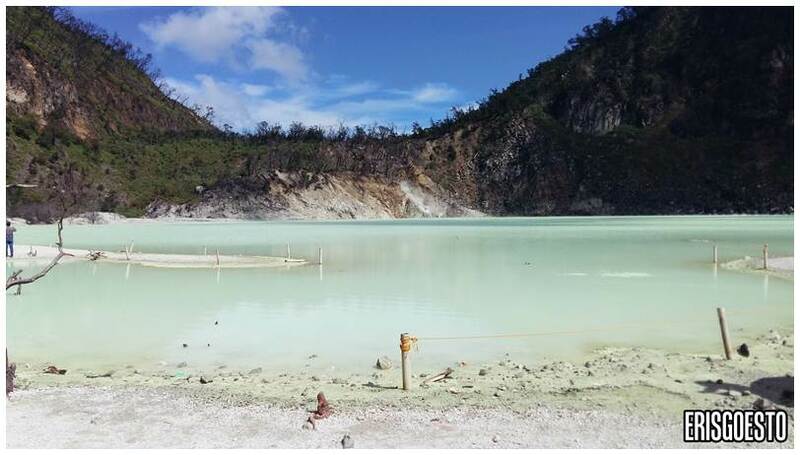 Don’t be fooled though – the water is highly sulphurous and toxic. 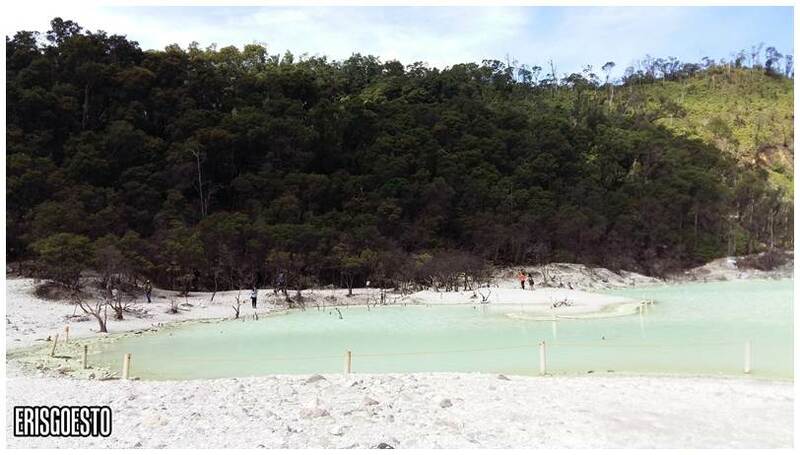 Unlike Tangkuban Perahu, which had nothing growing from its cliffs, Kawah Putih has more vegetation, with small shrubs and plants forming a ring around the lake. There was a characteristic smell of rotten eggs in the air, and wisps of steam and smoke curled on the surface of the lake. 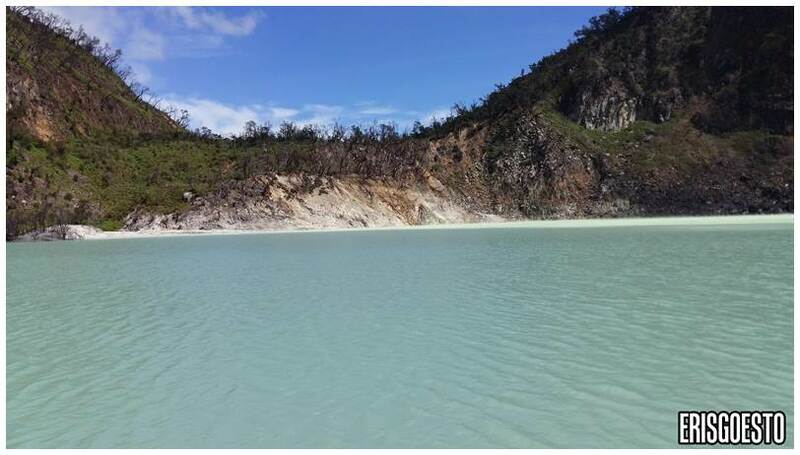 The sky was a vivid blue, creating a beautiful layer of color against the mountain’s earth tones, the white-blue waters and white sand. There’s only a simple fence separating the lake, so parents, if you’re bringing the kids along, keep an eye on them at all times. The waters looked inviting enough for an adult, let alone a small child. And more short, gnarly trees. 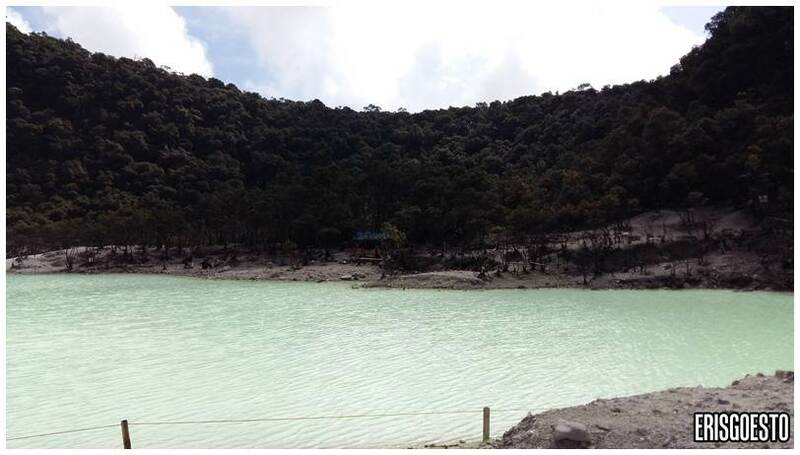 Kawah Putih is one of those must-visit places while in Bandung, and it’s definitely worth the two-hour drive.